Belize has one foot in the Central American jungle and the other in the Caribbean Sea, and is packed with islands, adventure and culture. The Belize Barrier Reef is the second largest in the world, with over 100 types of coral and 500 species of tropical fish. 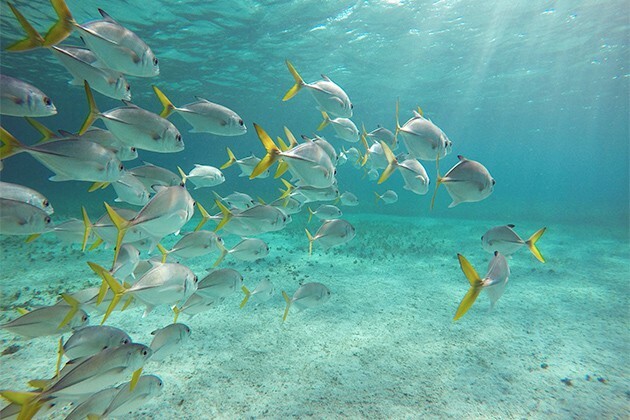 It’s paradise for scuba divers and snorkelers. Snorkelers will see a kaleidoscope of coral, fish, whale sharks and turtles, while divers can investigate the underwater caves and walls, along with the world-renowned Blue Hole. You can spend your days kayaking, windsurfing, stand-up paddle boarding, swimming, fishing or lazing in a hammock ….. a perfect tropical vacation! Belize is home to the ancient Maya. 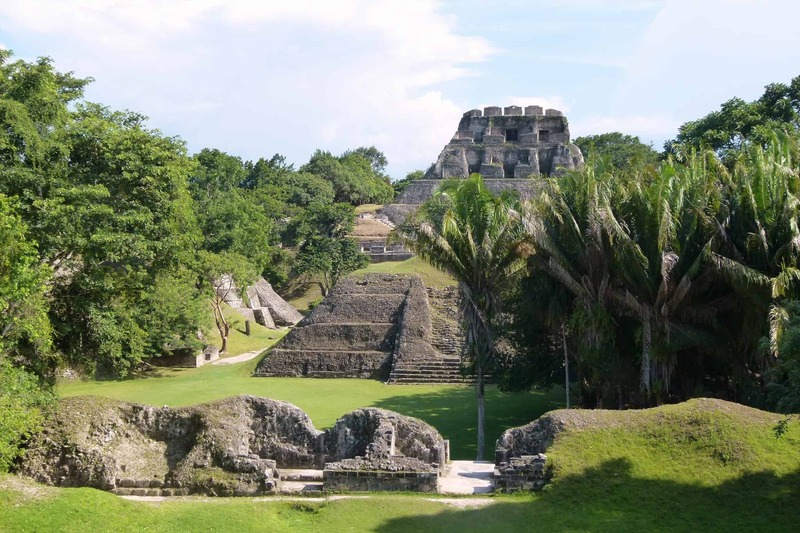 The Cayo District and Toledo’s Deep South have archaeological sites that date to the Maya heyday (AD 250–1000), where steps lead to the tops of tall stone temples, often with 360-degree jungle views. Explore excavated tombs and examine hieroglyphs, or enter natural caves to see where the Maya kings performed rituals and made sacrifices to their underworld gods. 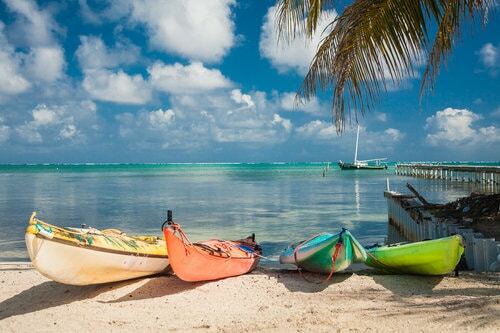 Belize’s largest island, Ambergris Caye, attracts the most visitors. Stroll through Ambergris Caye by day and you’ll find a relaxed beachfront filled with spectacular waterfront sites; by dusk, you’ll revel in its vibrant nightlife. Just be sure to save some time on the mainland for unraveling Belize’s subtle charms. From its luxuriant Mayan sites to its sparkling waters, there’s plenty to explore in this enchanting coastal country.The best Belize vacations can include scuba diving the Blue Hole, zip lining through the jungle canopy, rappelling down waterfalls or crawling through ancient cave systems. Belize is an adventure! The best time to visit Belize is from late November to mid-April, during the country’s dry season. Although this peak season draws thousands of tourists, dealing with crowds is an easy sacrifice to make for warm temperatures, clear skies and easy access to the country’s top attractions. You’ll probably want to pass on visiting during April and May, when humidity mists the tropical landscape and temps reach triple digits. Expect showers from June to mid-November and strong winds. If you want to beat the rush of tourists and don’t mind packing an umbrella, come during the rainy season in September and October. But keep in mind some establishments shut down during the off season. Entering Belize is a simple, straightforward process. You must present a passport that will be valid for at least three months from the date of entry. Officially, visitors are also required to be in possession of an onward or return ticket from Belize and funds equivalent to BZ$120 per day for the duration of their stay in the country but it’s rare for tourists to be required to show these. The best ways to get around Belize are by car, water taxi and plane. Taxis and rental cars are the most hassle-free mode of transportation around Belize City. Cabs and cars are also the easiest way to get to and from Belize City’s Municipal Airport or Philip S.W. Goldson International Airport. Hopper planes also transport passengers to popular islands like Ambergris Caye and Caye Caulker. Water taxis are the best mode of transportation to access Belize’s numerous cays. Attractions on the mainland are relatively spread out, but Belize itself is a compact country, equipped with commuter buses that transport passengers to popular things to do. However, these buses are typically run-down and routes can be difficult to navigate. Taxis are affordable and easy to flag in Belize City and Ambergris Caye’s main city, San Pedro. Taxi fares typically range from $6 to $14 BZD ($3 to $7 USD). However, regular taxis have no fixed meter rate or consistent look. You’ll want to agree on a price before getting into the taxi. On Caye Caulker, chauffeured golf-carts replace taxis. You can rent a golf cart for daily or weekly fees. Belize City’s four primary roads are all easy to navigate, making driving the ideal mode of transportation for visiting the outlying Mayan sites. Rental cars are easy to come by near the city’s two major airports, however, you’ll need to acquire an international driving permit to drive here. Consider renting a four-wheel-drive vehicle, as some roads leading up to the major Mayan sites are rustic, and rainy weather can make for challenging driving conditions. Dozens of bus companies offer service along Belize’s Northern, Western, Hummingbird and Southern highways. However, there is no standard bus system in Belize City. Prices vary depending on distance, the company and the type of service. Autotransportes De Oriente (ADO) provides transport from Belize City to areas in northern Belize, such as Corozal and Orange Walk, and nearby Mexican destinations, including Cancun and Playa del Carmen. Another reliable bus service, James Bus, offers daily transportation between Belize City to Dangria and Punta Gorda, located in Southern Belize near Toledo and Placencia. With its plentiful outdoor activities, this 25-mile-long island off the coast of northern Belize caters to the snorkeling and diving set. The island was originally inhabited by the Mayans to serve as a far-extending trade route, spanning from present-day Mexico to as far south as Honduras. Today, Ambergris Caye welcomes thousands of visitors seeking easy access to the barrier reef that surrounds the island. Snorkelers and divers will want to explore Hol Chan Marine Reserve. When you’re not underwater, explore San Pedro, Ambergris’ main town. Here you’ll find beach side restaurants, lounges, shops and luxury hotels. It’s easy to get around Ambergris Caye by golf cart. There are multiple rental companies in San Pedro and rates range from $65 USD per day to about $200 USD for a week. Plunge into this deep blue hole and you’ll discover imposing ancient stalactites (calcium deposits resembling icicles) and coral fringe. 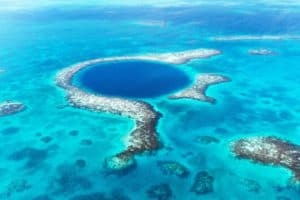 Declared a UNESCO World Heritage Site in 1996 — along with six other areas surrounding Belize’s barrier reef — the Great Blue Hole remains one of the world’s most distinguished scuba sites. Created approximately 10,000 years ago after a cave roof crumbled in, this blue channel contains underwater tunnels, caverns and rock formations. You’ll likely spot marine life lining the coral wall at the surface of the hole. As you descend about 410 feet below sea level, you’ll discover the stalactites, but it’s unlikely you’ll encounter many underwater creatures. Facing the southern edge of Ambergris Caye, Hol Chan Marine Reserve is the oldest reserve in Belize. Encompassing 3 square miles, this densely populated aquatic zone is a sanctuary for stingrays, eels and sharks, among other creatures. The reserve is separated into four parts: the mangroves, the reef, the sea-grass beds and the most recently added Shark Ray Alley. 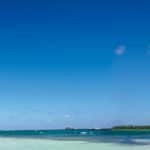 Just about 20 miles north of Belize City sits Caye Caulker, a 4-mile-long, is an island that boasts superb diving and snorkeling spots and a relaxed tropical ambiance. Though the island is mostly uninhabited by locals, visitors flock to the restaurants, shops and hotels perched at the northern tip near the Split. This remote island offers a broad range of snorkeling, scuba, sailing, kayaking and fishing services to nearby sites located along the surrounding barrier reef. There are also some unique attractions like the manatee preservation site, Swallow Caye. Set on a leveled hilltop, Xunantunich (shoo-nahn-too-neech) is one of Belize’s most easily accessible and impressive Maya archaeological sites. Getting here is half the fun with a free hand-cranked cable ferry taking you (and vehicles) across the Mopan River. Xunantunich may have been occupied as early as 1000 BC but it was little more than a village. The large architecture that we see today began to be built in the 7th century AD. They offer Snorkeling Cruises, Sunset Cruises & Private Boat Charters. Board the YOLO, our 40′ X 20′ custom powered catamaran built right in San Pedro as you cruise along the beautiful reef off the coast of Ambergris Caye. Their skilled and trained staff will help create a once in a lifetime experience for you during your visit to beautiful Ambergris Caye. For more information call 501 615-9656, or visit them on the web at Island Dream Tours. Book your customize Tours with tours to include Altun Ha, Cave Tubing , Zipline, Howler Monkey Sanctuary, Belize Zoo, Lamanai, Xunantunich , Tikal , and ATM Cave . They offer a wide Range of local tours in Belize. They have over 13 years of guiding experience and offer alternative tours with your own private Guide(s) in Belize. For more information call 501 667-2741, or visit them on the web at Altournative Belize Services. Nautical Adventures Belize in Placencia offers Full Day Sailing, Sunset Sailing, snorkeling at Laughing Bird Caye, Monkey River Tour and Private Charters. Join them on one of our two luxury sailing catamarans and be prepared to be treated like royalty. 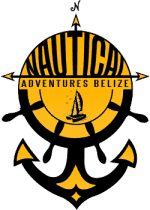 For more information call 501 635-6247, or visit them on the web at Nautical Adventures Belize. Experience the culture and history of Belize! They offer tours for every adventure level ranging from zip lining to exploring the Mayan Ruins or touring a working chocolate farm. Locally owned and operated. They love showing off our beautiful Belize. 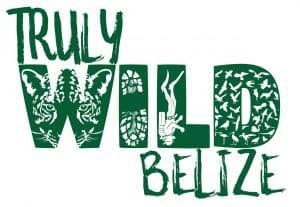 For more information call 501 615-8059, or visit them on the web at Truly Wild Belize. Half Day Tour Caye Caulker Marine Reserve $50 USD. Guided snorkel tour to Caye Caulker Marine Reserve, North Channel, the shipwreck, the Shark and Ray Alley, Coral Gardens, manatees, tarpons pool and seahorses viewing. What they provide: A fully guided tour, all park fees, fruits, water, and snorkel gear. 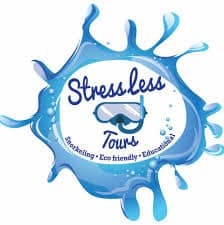 For more information call 501 624-6064, or visit them on the web at Stressless Eco Friendly Tours. One of San Ignacio’s slickest restaurants, boutique Guava Limb is set in an adorable turquoise two-story building with a serene outdoor garden area. Fresh organic ingredients are sourced from the owners’ farm or local providers to create an eclectic international menu that might include Indonesian gado gado, a Middle Eastern platter or conch ceviche. Gourmet pizzas, burgers and quesadilla make for a filling lunch, and vegetarians will enjoy the wide range of fresh salads. There’s a full bar and the garden is a fine place for a cold beer or cocktail. For more information call 501 824-4837, or visit them on the web at Guava Limb Cafe. Living up to its name, Hidden Treasure is a gorgeous open-air restaurant in an out-of-the-way residential neighborhood (follow the signs from Coconut Dr). Lit by candles, the beautiful bamboo and hardwood dining room is the perfect setting for a romantic dinner, which might feature almond-crusted grouper, blackened snapper with bacon-wrapped shrimp, or pork ribs with a ginger pineapple BBQ glaze. For more information call 501 226-4111, or visit them on the web at Hidden Treasure. Well-known locally for his sublime seafood creations and steaks cooked over hot rocks, Chef Rob’s changing menu here might include sauteed red snapper, grilled jumbo shrimp kebabs or rib-eye in rum sauce. Put together a four-course meal from BZ$59. The waterfront dining area at Parrot Cove is suitably romantic. Fro more information call 501 523-7225, or visit them on the web at Chef Rob’s. This iconic San Pedro restaurant has been filling stomachs of happy patrons for 20 years when it began as a burger aisle. It is a must visit restaurant in San Pedro town. The interior sand floor is built around the large flamboyant tree that has watched people eat under its branches since the founding. It’s often accompanied by live music, decorated remnant artifacts of San Pedro’s fishing village roots and artwork. The famous Grand Mayan Buffet held every Friday is a crowd favorite, for its assortment of Maya-Mestizo food highlighting the heritage of the ethnic group. For more information call 501 226-2404, or visit them on the web at Elvi’s Kitchen. Crabby’s is in a welcoming thatched, open-sided restaurant and bar that ranks as Sarteneja’s best, with a fine waterfront location and convivial vibe. The specialty is local seafood (try the lionfish burger with onion rings) but you’ll also find Belizean classics, burgers, wings and fajitas. Saturday is barbecue day. Cocktails and ice-cold beers, with sunset happy hour from 5:30pm. For more information call 501 620-8358, or visit them on the web at Crabby’s. Stella’s is a classy but unpretentious wine bar set in a lovely garden on the edge of the San Pedro Lagoon that affords fine sunset views. 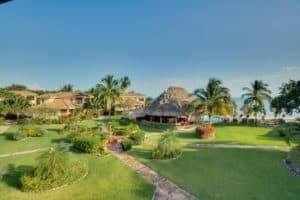 Sit on lounge chairs under the trees or at a table in the palapa (open-air shelter with a thatched roof) and work your way around two dozen different whites and reds. There are also wine specials for those who don’t have to drive their golf cart home. For eats there is a rotating menu of pizza, hamburgers and Caribbean-style fare, with appetizers available every night. On Sunday morning it’s all about the crepes and the eggs Benedict. For more information call 501 602-5284, or visit them on the web at Stella’s Sunset Wine Bar & Restaurant. Tucked away from the louder bars and restaurants, this is the locals’ favorite at Secret Beach, mainly for the picnic tables partially submerged in the waist-deep, turquoise cove. It’s easy to spend an entire day here, throwing back Belikins and feasting on delicious ceviche, whole jerk fish or curry venison. Cash only. For more information call 501 623-8051, or visit them on the web at Blue Bayou. I&I is the island’s most hip, happening spot after dark, when its healthy sound system belts out a reggae beat. Its three levels each offer a different scene, with a dance floor on one and swings hanging from the rafters on another. The top floor is the ‘chill-out zone,’ complete with hammocks and panoramic views. A great place for a sunset drink. For more information call 501 668-8169, or visit them on the web at I & I Reggae Bar. Ever-popular Driftwood has moved closer to the center of the village but still has a great beachfront location, Hopkins’ best drumming nights and pizza (from BZ$16) and tacos (BZ$10). 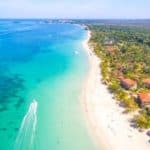 This is a popular social hub and party place: Tuesday is the big night with Garifuna drumming, but there are also weekend events and beach BBQs. For more information call 501 664-6611, or visit them on the web at Driftwood Beach Bar. The Lazy Lizard is described as a ‘sunny place for shady people,’ though most folks here tend to be attractive, young travelers, swimming about and sunbathing as they are plied with booze and cocktails. The bar’s second-story balcony offers spectacular views of the Split, and its corn hole tournaments, beach rugby games and full-moon parties are delightful. For more information call 501 226-0636, or visit them on the web at Lazy Lizard. Make your dream a reality at Coco Plum Island Resort. Dotted with beach beds, lounge chairs, and swaying hammocks, our Belize all inclusive resort is the perfect place to cast your worries away. We’ve thought of just about everything to make your Belize vacation as easy and seamless as possible. Hosting no more than 42 guests at a time on this private island resort, you will enjoy the entirety of this mangrove-fringed nirvana practically to yourself. Each of the 18 stand-alone private cabanas, all steps from the beach, offer awe-inspiring views of the Caribbean Sea. For more information, pricing, or to reserve your room visit Coco Plum All-Inclusive Resort. 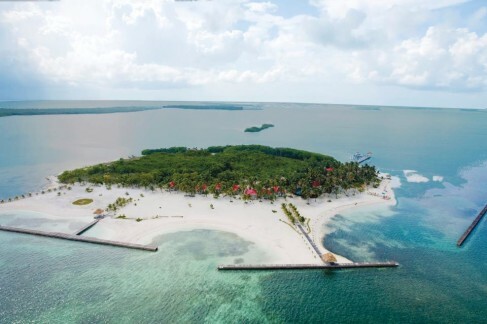 This private island resort is located off the coast of Belize, just 30 miles from the world-famous Great Blue Hole. Spend your days with fins or fishing rod in hand, and live the life of a castaway. The white-uniformed staff all lined up for your boat’s arrival, the preserved colonial-era buildings, and the oxidized anchor of an 18th-century British warship all set the tone at this upscale, legend-filled resort. This was Turneffe Atoll’s first dive lodge, and it bagged the best spot a few hundred yards from the legendary Elbow. 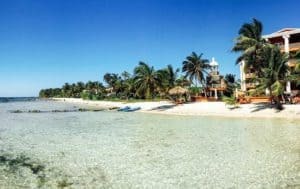 If you came to Belize for the diving, this is an ideal base, though fishing, snorkeling, beach combing, and in-room massages are also top-notch. The rooms, in palm-shaded, lemon cottages with sea views, have been refurbished without spoiling the cozy feeling created by the varnished hardwood fittings, which envelop you on all sides. Even buildings that are not colonial carry the aesthetic, giving the island a unified feel. The staff to guest ratio is among the most impressive in Belize. Meals, served family-style, are quite delicious. Transportation to the island from Belize City is included, but not airfare to Belize. For more information, pricing, or to reserve your room, visit Turneffe Island Resort. 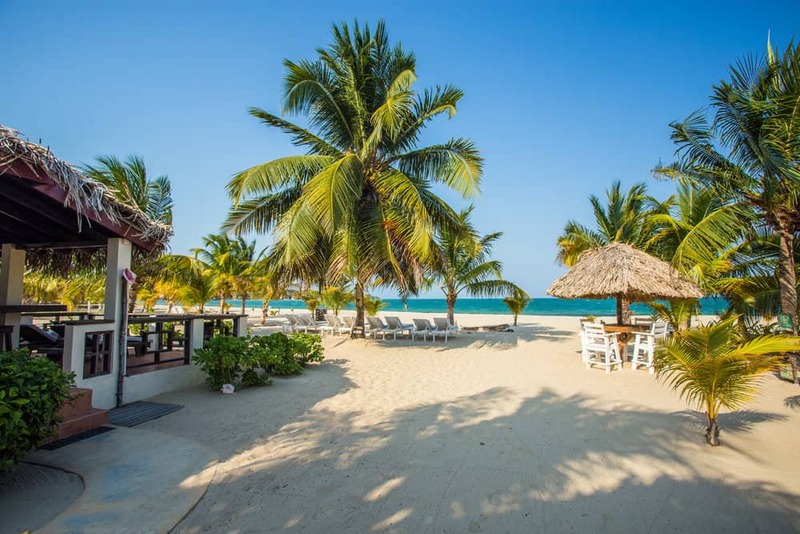 Belizean Dreams is an intimate, locally owned and managed all inclusive resort nestled on the coast of Hopkins Village, in southern Belize. Accommodations and packages are tailored to providing vacations to discerning travelers who crave relaxation, romance and adventure. All packages include three Belizean meals daily (breakfast, lunch & dinner), unlimited local drinks (not included in the Dive Package), accommodations (One Bedroom Standard Unit), local Belize airfare to and from the Belize City airport. Their all inclusive resort is comprised of nine standalone villas. The villas are positioned in the shape of a horseshoe, or “U” shape, all are only footsteps away from the Caribbean Sea and beach. Accommodations are ideal for families, solos or couples traveling together who want the convenience and comfort of a home away from home, with the extra touches of personalized service and hospitality. For more information, pricing, or to reserve your villa, visit Belizean Dreams. Xanadu Island Resort, in San Pedro, Ambergris Caye, is Belize’s top eco-friendly beach resort with a touch of luxury in harmony with nature. They respect the beautiful destination of Belize and continue to do their best to preserve the environment, in every way possible. Set among tropical, indigenous gardens, their twenty suites offer privacy and tranquility with an authentic Belizean ambiance. Enjoy panoramic views of the ocean, garden or pool while staying in one of our unique dome units. Take in sweeping sea views from spacious treetop suites, or relax on a deck lounger in one of the ocean front suites just steps away from the turquoise Caribbean Sea surrounding San Pedro, Ambergris Caye Belize. With a variety of options including studio, one bedroom, loft, two bedroom and three bedroom suites – all units are designed for convenience and comfort. Featuring air-conditioning, ceiling fans, fully equipped kitchens, in-room safes, hair dryers, cable television as well as private furnished decks. For more information, pricing, or to reserve your room, visit Xanadu Island Resort. Located in Placencia, Caribbean Beach Cabanas is a Adults Only Property, offers a private beach area and free bikes. This self-catering accommodations features free WiFi and free parking. This villa will provide you with a TV, air conditioning and a terrace. Most units have a full kitchenette, with a microwave and a refrigerator, and private bathrooms with a shower. You can enjoy a beautiful view of the sea from the property’s private veranda and palapa. For more information, pricing, or to reserve your room, visit Caribbean Beach Cabanas. Athens Gate is a small Belize boutique beach resort in a discreet locations 2.5 miles south of San Pedro offering beautiful private beaches and convenience to shopping and dining. With only twelve accommodations, Athens Gate remains small and exclusive allowing for personalized time with each of their guests. They do not have a restaurant on-site, but there are several within a short walk (2-3 minutes). For more information, pricing, or to reserve your room, visit Athens Gate. 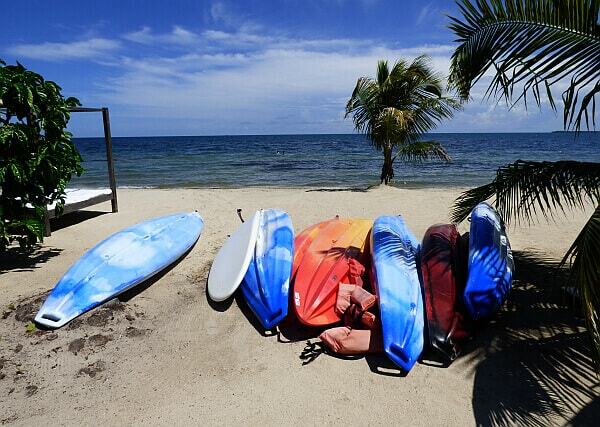 Click here for our list of Beach Travel Essentials you will want to take with you to Belize. 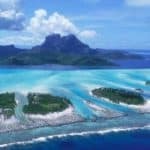 Great website and posts about the different beaches around the world. Love all the helpful information you give with facts, prices, and activities you can explore. Might I make a suggestion; see about the beaches in Costa Rica and southern Thailand. Get beaches and a lot of activities to do. Other than that, great website and it’s really laid out well. Keep up the great work! Hi Danny and thank you for taking time to leave comments. Yes, I am working my way to Costa Rica and Thailand 🙂 So many great beaches all across the globe, so definitely keeps me busy writing. Thanks for visiting the best Belize Vacations. This may be one of the most beautiful destinations from what I see here. It just looks spectacular! What’s not to like about this paradise? Everything here would want to make me stay forever! I have to say that Caye Caulker is the place to visit first! It would be hard to pick between the beautiful resorts to choose from too! 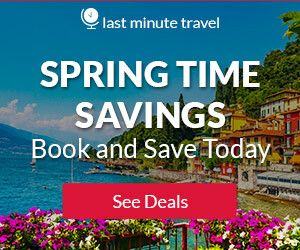 And now is the perfect time of year to go! Thanks so much because I am putting this first on my list of destinations to go to! Great Rob! And yes, I could live in paradise too! I already live in a great place, but Belize is truly wonderful. Thanks for visiting Rob! This post has me salivating and eager to book my next tropical destination trip. I have traveled the coast almost to Belize but never made it there – I am wishing now that I had taken and extra 10 days to do so! I love the Mayan culture and have always been fascinated by history and hello! Chocolate lover right here that the Truly Wild Belize tour really caught my eye. The weather here in Vancouver is rain and cold temperatures – this post has inspired me huge to work towards my next vacation. Thank you Leahrae – I appreciate the insightful and well laid out resource! Belize looks awesome and now I will know what to get into when I travel this way! Glad you enjoyed your digital visit to Belize Bex. It really is a beautiful destination and I know you would have a wonderful time. Thanks for stopping by and taking the time to leave me some comments. OMG I would definitely love to take the water taxi! The description is amazing, now I really want to get there! Very helpful, thank you! You are very welcome Stefania! Glad you enjoyed the best Belize vacations. Come back when you are ready to plan! Wow, Belize is a great destination if your into good beaches, scuba diving and snorkeling. I would love to visit the Blue Hole. It looks very exciting. So much to see and do there in Belize. Plenty of excursions, good hotels and restaurants. I bet the night life is good too! You provided another great video! Thank you Mick for stopping by and reading my Best Belize Vacations post. I hope you visit the Great Blue Hole soon! I would totally love to visit Maya and the Xunantunich. I use to want to go scuba diving for years, but I got scared of sharks and my fears have overtaken me. However, I have a few questions, if you don’t mind. Since this is Central America, how safe it is? Also, what is the main language spoken there? Are there any unsafe places to be careful of? Belize is generally a safe destination to travel to. However, there are the normal travel advisories stating to avoid walking or driving alone at night. Also don’t venture out to the rural areas. I think these are pretty common rules to follow with a lot of foreign countries. Believe it or not, the official language of Belize is English 🙂 I hope this answered all of your questions. What a wonderful article to read! I absolutely love the images of the different scenes that are embedded in that beautiful land. I would recommend to anyone to wants to travel to visit Brazil. Now I understand why it is the top country in Latin America and for tourists to visit the country every year. I am not really into the bar scene but I do like the restaurant reviews including the one with tacos which I would like to try. Overall I think that you have very informative information about Brazil as a destination. I am glad enjoyed my best Belize vacations post Carmeta! Yes, it is a beautiful country with so much there to see and do. Thanks for visiting! Hi there and happy thanksgiving. Thank you for sharing the Best Belize Vacations. Wow! I haven’t seen to Belize before now and I haven’t heard of it either. From the information I’m getting from this article, Belize is such an amazing and beautiful place to behold and experience. The great Blue hole never ceases to amaze me. I must confess, this article is well detailed regarding Belize. I would love to go on vacation to Belize when I finally escape the rat-race. Great Barry and the Great Blue Hole is famous and worth seeing and experiencing. I hope you can make it to Belize one day soon. 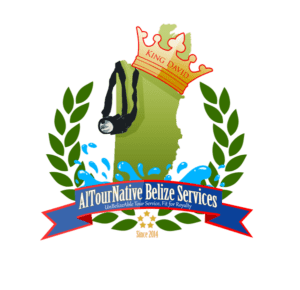 Thank you for sharing with us this great review about Best Belize Vacation.To tell you the truth,by seeing only the picture of Belize beach anyone can start dreaming travel to Belize and have good moment there. I have a friend in Caribbean and one day i will travel there to visit her and i bet i will enjoy as i find it is a great place . It is a great place and you will have a wonderful time. If you have any additional questions or need any help, please let me know. Thanks for stopping by. What a wonderful idea – Belize. Somehow we always think of going much further away from out place in the USA. Belize is certainly more affordable than more traditional sites like Europe, and seems to be quite beautiful offering a lot of things to do and a beautiful place to do it in. And there are many other beach areas on this pate all throughout the Caribbean, Florida, and the West Coast. I will certainly look through these other areas – what a beautiful idea! In this “all about beach” site, there is an area about beach gear, water sports gear, and about taking a cruise. 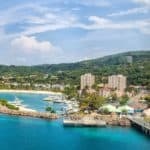 Taking a cruise vacation has become the vacation of choice for our family – you get to relax while visiting various ports. Thank you for a wonderful introduction to beach vacations – all of which are not too far away from my place in TN! You are very welcome Dave. Yes, cruises are great! I just got back from one myself and had a wonderful time. I am glad you like the idea of Belize! Come back when you are ready to start planning and thanks for visiting the best Belize vacations. The information provided in this article is excelent and it covers any possible detail. I do like the fact that the author informs the audience about the archaeological sites, most visitors want to learn the history and visit the archaeological sites. I think the aythor has covered everything. From what is the best time to visit, to places of interest, historical sites, places to stay, and my favorite…restaurants! Since I love travelling I will be visiting your site often. Keep up the good work. Hi Leahrae, great site. You have put a lot of time into this post and covered all the bases. Never thought about traveling to Belize until I saw this post. Would love to go there especially with winter coming to the north east. Do you have any idea what the crime rate is and how secure from violence Belize is? Thank you for visiting Bill. Belize does have a crime problem, but generally not in the tourist areas. If you are aware of your surroundings and follow good guidelines as a traveler, you will have no problems. If you want more information, you can visit here. Hope this helps. So true. Awareness of your surroundings is good advice. Thanks for the reply. You are so welcome Bill! I would love to explore some of the Mayan sites. Their culture has always fascinated me! And when I am not exploring, then I can relax at the beach! The water looks so pristine and clean! Although I see that you recommend the time period from November-April to visit, I think I would be happier to visit when there were not so many other tourists to “trip” over! Do you think October would be okay in spite of the rains? Since I am not much into scuba diving or snorkeling, I think that Xunantunich where I can see the Mayan ruins is going to be my favorite thing to see! Do you know if the seas are more or less calm during October? I wouldn’t want to charter a boat and then get sea sick because the sea was more “wild”. Of course, I know you can’t predict the weather, but in general. I’m thinking another highlight might be the Stressless Tours – Caye Caulker. Do you know if this is one of the tours that is open in October? Anything “stressless” sounds good to me! Thanks, too for your review of the restaurants and bars. I am not into the bar scene much, but I do enjoy eating! 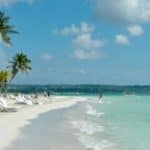 As far as accommodations,, I believe that Belizean Dreams may be the answer to make my dream vacation and beautiful one! Thanks for all the info! I look forward to you reply! Hi Karen and thank you for your wonderful review! No worries in October, it will be less crowded, not so rainy, the waters will be great (not too rough) and yes, Stressless Tours will be open 🙂 I agree with you on the hotel. The Belizean Dreams is absolutely wonderful! Thanks for visiting beach travel destinations. Thank you for your reply! I better get my passport renewed soon! This looks like an incredible vacation. I would love to try the fishing out there. 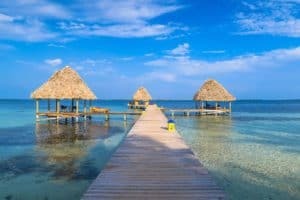 According to your article it seems like a Belize vacation is very affordable. I dont mind crowds so I would go on high times. I am curious to know what the medical system is like there in case something medically was to happen. Thank you for a great article and I would love if you could give me an answer to the medical question only if you know. I could do the research if need be. Hi Dale, there is a relatively well established medical system there. So in the event that you should get hurt, or have a health issue, you will be taken care of. Please let me know if you have any additional questions. Thanks for stopping by beach travel destinations. 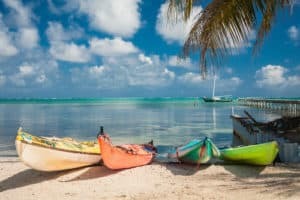 Thanks for the informative post about Belize! If I will have to choose when to visit Belize, I wouldn’t visit during the rainy season as I would mind packing an umbrella, the showers and lots of strong winds that occur during this season. Although thousands of tourists are drawn by the peak season, it would be much better to come around during this season as it would be a little thing to sacrifice for when it comes to dealing the crowd. Thanks a lot for the great work! You are welcome Israel and thanks for visiting the best Belize vacations! Great article! I found very useful! We are planning a trip to Belize next November, and I am already searching for information on the net. That’s how I found your website:) The time passes so fast, so that’s why I am here today. I know that Belize underwater world is beautiful and I can’t wait to get there! You are going to have a wonderful time Daniella! No, hurricane season is pretty much over and you will not have to worry here. Have a great time and please let me know if you need any additional information. Thanks for visiting the best Belize vacations. 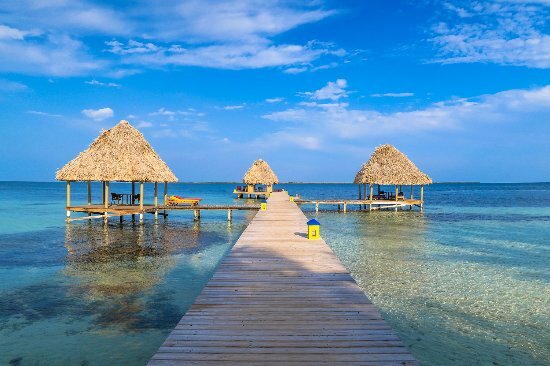 Wow, Belize looks like such a beautiful place to vacation. When I think of traveling to a warm beach I usually think just California or Mexico (lazy, I know), but this place looks like it offers a lot. I have not been there yet? Where does it rank on your list of beach vacations? If you love beaches, then Belize is a wonderful destination for you. It is high on my list. It just has so much to offer besides just beaches. I also love to explore which makes this a great choice. What a historic place for a vacation. I live coming around the world during holidays and now is about the perfect time to visit Belize City. A lot of attractions and tourism explorations. With a five star rating, the belizean dreams with accommodations and packages tailored to provide vacations to discerning travelers who crave relaxation, romance and adventure…….. It doesn’t get any easier than this. What a place to be. I agree! Thanks for visiting beach travel destinations. Wow, now I just want to get on a flight and head to this beautiful country. Thank you for showing off how great this place is. I love a beautiful vacay spot and from your article I can see that Belize is top notch. 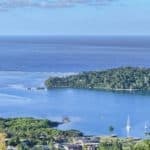 This is really great travel information for those of us who might want to take a trip to Belize or have already made plans to. It is really great that you gave us all the details needed to get the most of our trip there. I am glad you enjoyed! Now it is time to plan 🙂 Thanks for stopping by!